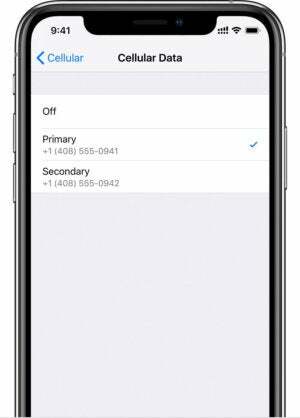 Apple's inclusion of an embedded SIM in its iOS 12.1 beta, will allow users of its newest iPhones to switch virtually between carriers and phone numbers, allowing business and personal use to be separated. 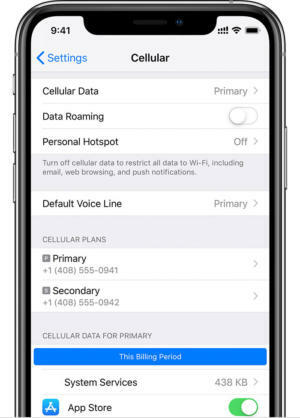 Apple has included support for an embedded SIM (eSIM) standard in its new iOS 12.1 beta; unlike a physical SIM card in a smartphone, it will allow a user to virtually move between cellular carriers at will through the phone's "Settings" function. 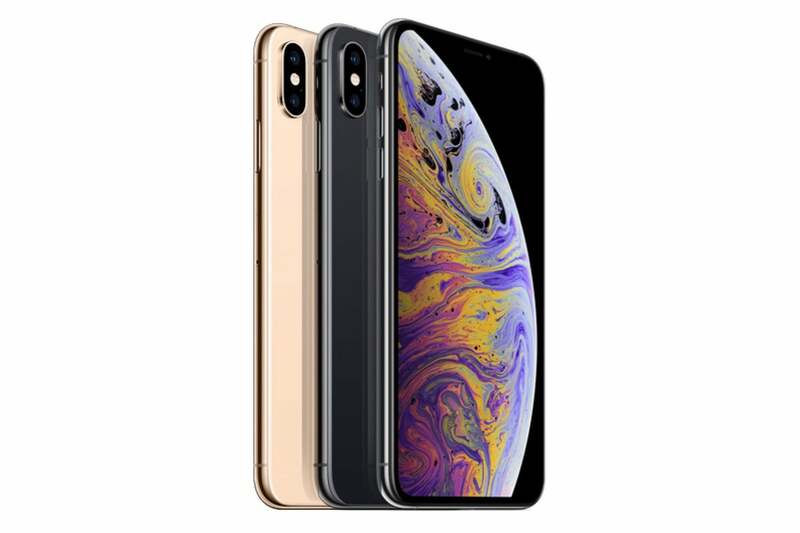 The dual-SIM feature is offered in Apple's latest iPhones, the iPhone XS and iPhone XS Max – both of which were unveiled Sept. 12 – and the upcoming iPhone XR. 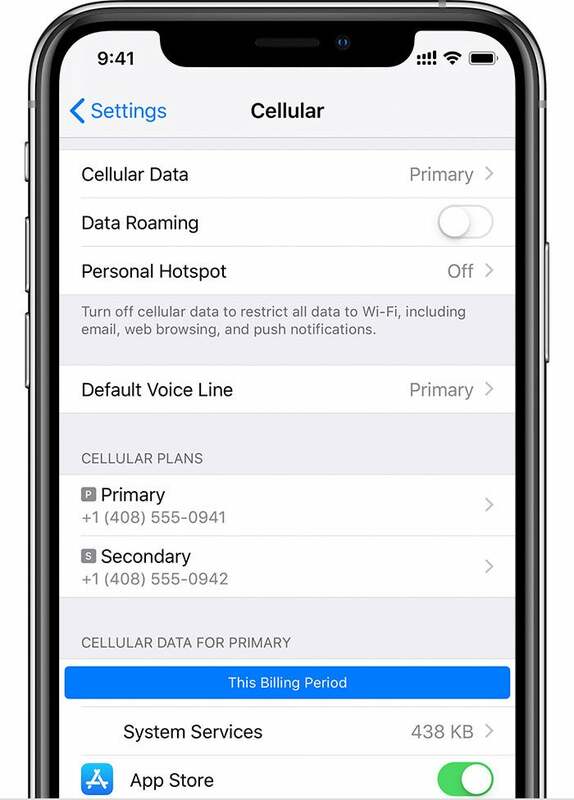 According to Apple, to use two different carriers, the iPhone must be unlocked; otherwise, both plans must be from the same carrier. Many carriers around the world, including AT&T, T-Mobile and Verizon in the U.S., plan to support eSIM, according to a list published by Apple. According to Apple's support page, the eSIM will enable users to, in theory, toggle between one phone number for business use and another for personal calls. Additionally, it eliminates roaming charges by enabling a user to simply switch over to a local data plan when traveling out of a typical region, and it will enable separate voice and data plans. The eSIM capability is excpected to be activated in a software update – likely with the launch of iOS 12.1, though features included in beta releases have sometimes been pulled before the upgrade is released publicly. Apple hasn't locked down an exact date for the release. "Both of your phone numbers can make and receive voice calls and send and receive SMS and MMS. Your iPhone can use one cellular data network at a time," according to the Apple support page. 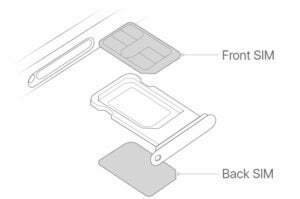 The eSIM capability is available through the Dual-SIM functionality offered by the nano-SIM card in the new phones. The iPhone XS and XS Max went on sale Sept. 21. The iPhone XR is set to be released in mid-October. "It's now a programmable part of the phone instead of something you go to the phone store and get," said Jack Gold, principal analyst with J. Gold Associates. "It also means there has to be a mechanism that insures that only a designated operator can program the card and set you up on a network. So there has to be an intermediate authority to make that happen." The eSIM functionality does not support the use of two Code Division Multiple Access (CDMA) networks, according to reports. In the U.S., Sprint, Verizon and US Cellular use CDMA, while AT&T and T-Mobile use GSM or the Global System for Mobiles (GSM) network. Apple also said that eSIM capability is not supported in China or Hong King. Instead, those two countries will get iPhones with two physical SIM-card slots for dual-SIM support. Apple has led the industry on the eSIM movement for a couple of reasons. For one, it allows the company to rid the iPhone of the SIM slot, which saves space and makes it more waterproof – in theory. It also eliminates the possibility of users breaking the SIM slot, "which does happen," Gold said. "Others are trying to get the eSIM movement going, especially in Europe and the Far East. In theory, an eSIM could be provisioned on multiple carriers at once (like dual-sim phones can be)," Gold said. "So, it's attractive from that aspect." The smartphone industry, Gold added, will likely see slow adoption of the eSIM feature over the next few years.